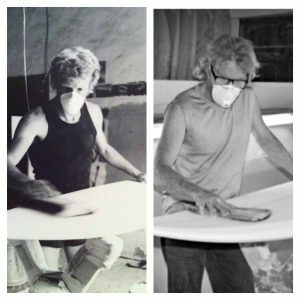 Paul Gravelle has been handcrafting high quality surfboards since the 1980’s. He has developed a reputation as one of Australia’s finest shapers, specialising in boards for a discerning customer base. Paul started shaping 1969 in Durban, Kwa-Zulu Natal, South Africa and moved to South Australia in 1973. Based in Penong SA, Paul custom shapes boards to suit the likes of experienced surfers to beginners. Contact Gravelle by clicking this link for more info.